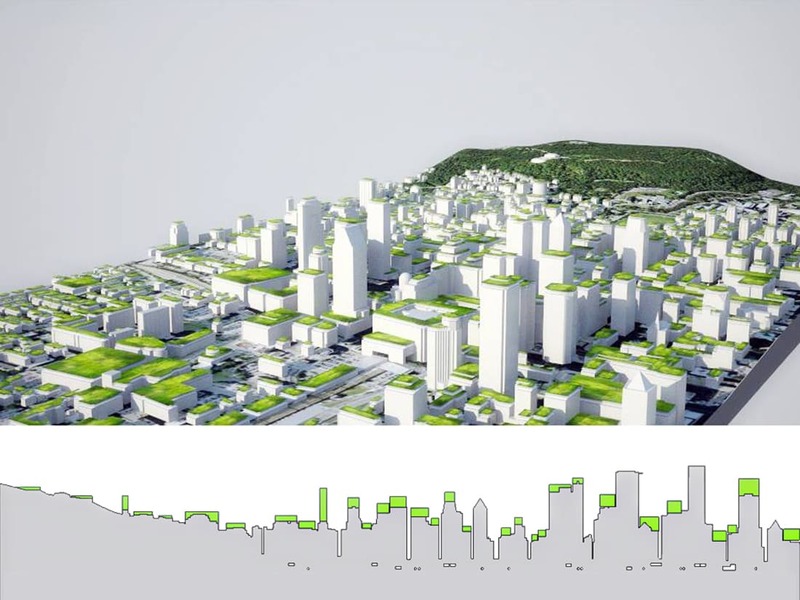 Green Roofs Cityscape project is part of the interdisciplinary research program Ignis Mutat Res – Atelier du Grand Paris and aims to inform on the potential of roofs to bring effective solutions to environmental problems in a dense urban setting with high energy consumption. 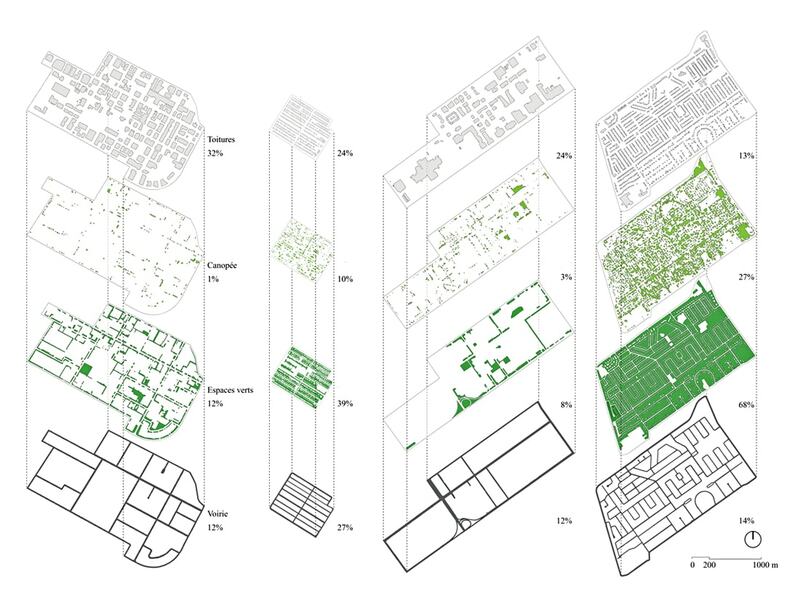 In this context, we focused on the development of a digital system to assess the horizontal roofs’ potentiality as a decision making support tool for urban interventions to reduce the ecological footprint of cities, using in this case the city of Montreal. 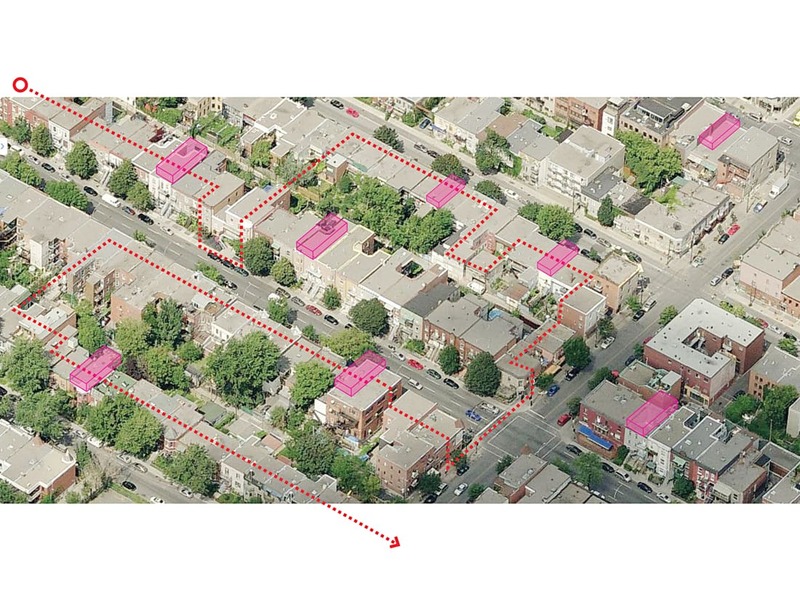 This type of roof is considered as an area of investigation in relation to concerns associated to water management and mitigation of heat islands. 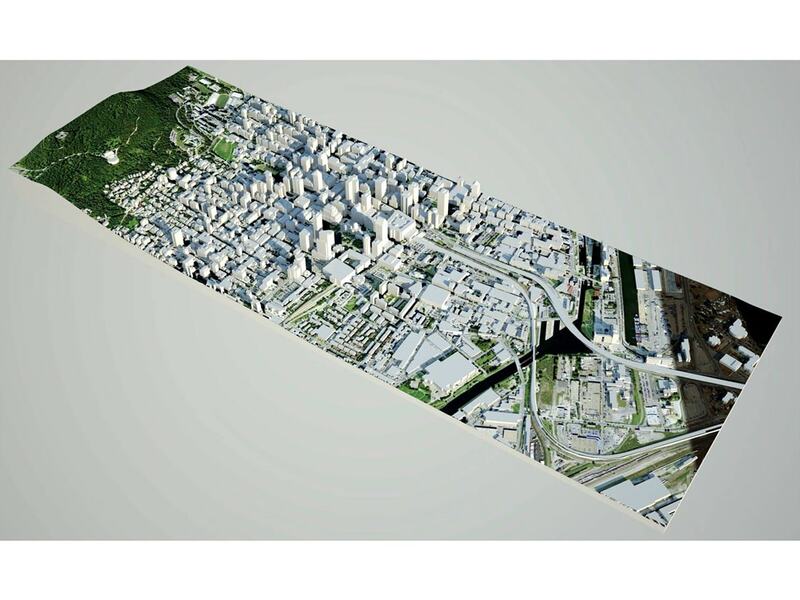 Moreover, this research focuses on three areas of the island of Montreal. 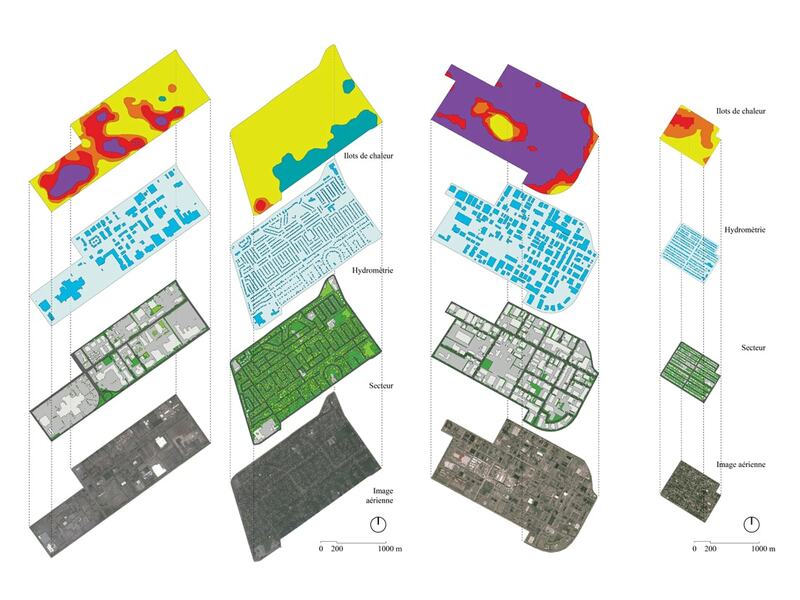 These samples correspond to two types of urban typologies (residential versus commercial or industrial) which are dissected in order to identify imbalances between natural, referring here to green areas (gardens, parks and canopies) and mineral surfaces caused by urbanization. 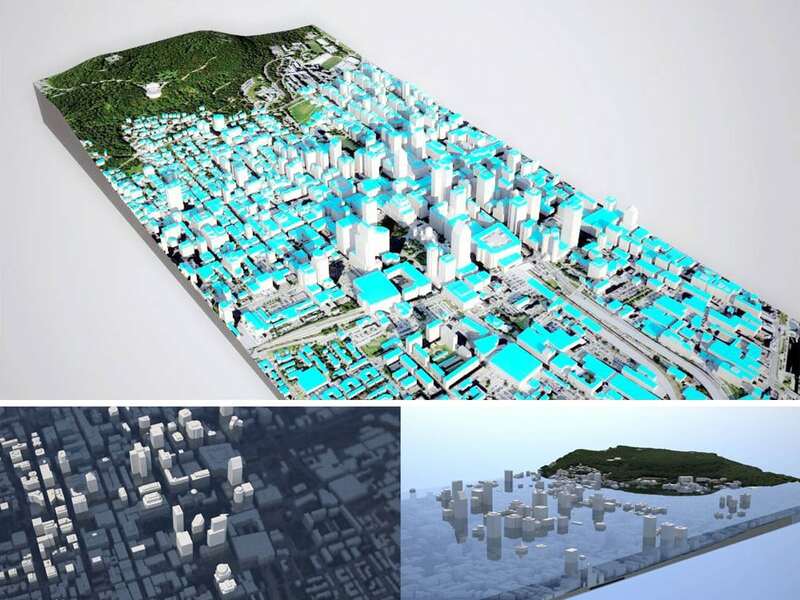 These balances or imbalances expressed in ratios between types of surfaces demonstrate that the roof area is broad enough to compensate for the lack of natural areas in the city. 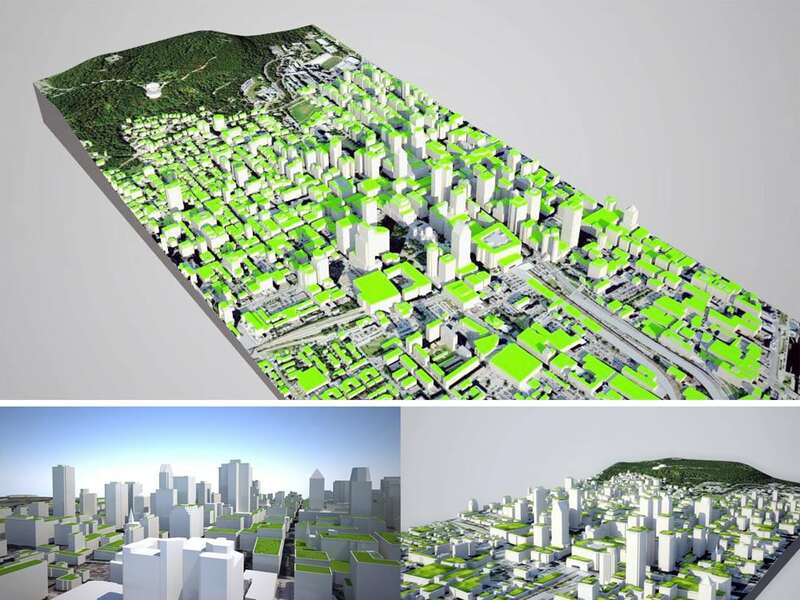 Roof greening across a sector could therefore significantly reduce the environmental issues associated with heat islands and managing runoff of rainwater. 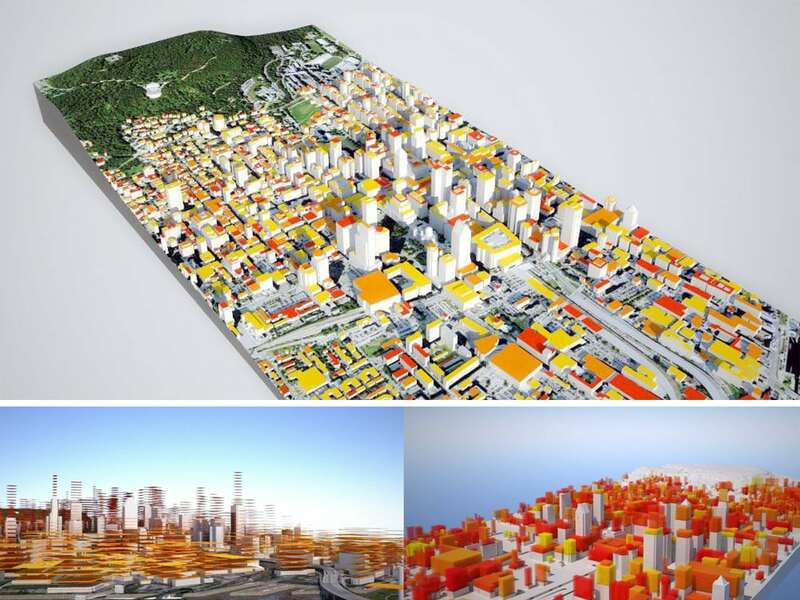 The strategy brought forward is to explore the hypothesis of a balance of 50 % of green versus a 50 % of mineral, which could contribute greatly to the empowerment of cities and the reduction of their fossil fuel dependency.